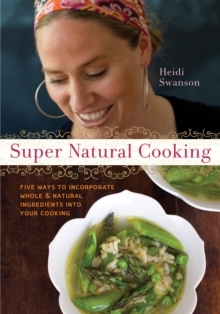 Heidi Swanson's approach to cooking whole, natural foods has earned her a global following. From her Northern California kitchen, she introduced us to a less-processed world of cooking and eating. These are the dishes that Heidi returns to again and again because they're approachable, good for the body, and just plain delicious. 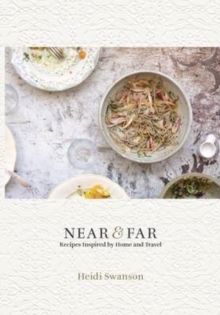 This stylish cookbook is equal parts inspiration and instruction, showing us how to create a welcoming table filled with nourishing food for friends and family. The flavourful vegetarian recipes for breakfast, lunch, dinner, snacks, treats, and drinks are quick to the table but tasty enough to linger over. 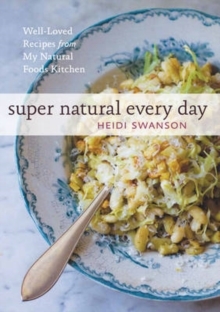 Gorgeously illustrated with over 100 photos that showcase the engaging rhythms of Heidi's culinary life and travels, Super Natural Every Day reveals the beauty of uncomplicated food prepared well and reflects a realistic yet gourmet approach to a healthy and sophisticated natural foods lifestyle.